Last week, one day before the Fed unleashed a statement that stunned Wall Street by its dovishness and admission that the Fed had been far too optimistic on the state of the US (and global) economy, when it slashed its forecast on the number of rate hikes from 4 to 2, we said that "while everyone's attention is on the Fed, the biggest danger to the S&P500 has little to do with what Janet Yellen may say tomorrow, and everything to do with the marginal buyer of stocks being put into a state of forced hibernation", namely the start of the stock buyback blackout period during Q1 earnings session. 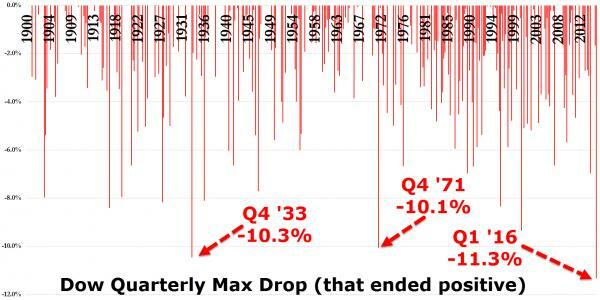 As a reminder, even Bloomberg recently acknowledged the unprecedented role corporate stock repurchases play in the current market when it penned "There's Only One Buyer Keeping S&P 500's Bull Market Alive." Of course, our readers have known the identity of the "mystery, indescriminate buyer" for two years. There are two problems with this assessment. First. 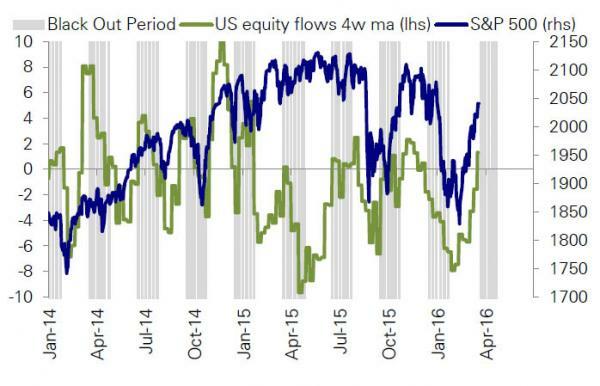 as DB's own chart below shows, traditionally US equity flows have seen substantial and sharp declines during the buyback blackout period during the past three calendar years. It is unclear why this time will be any different. Second, and more important, is that as Bank of America reported earlier this week, in the latest week "during which the S&P 500 climbed 1.1%, BofAML clients were net sellers of US stocks for the seventh consecutive week. Net sales of $3.7bn were the largest since September and led by institutional clients (where net sales by this group were the second-largest in our data history). Hedge funds and private clients were also net sellers, as was the case in each of the prior two weeks, but a different group has led the selling each week. Clients sold stocks across all three size segments, and net sales of mid-caps were notably the largest since June ’09." 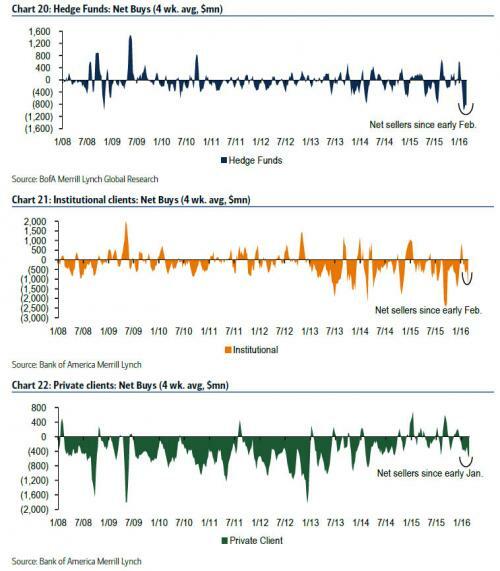 BofA's summary: "clients don’t believe the rally, continue to sell US stocks" and they were selling specifically to corporations whose repurchasing activity is near all time highs: "buybacks by corporate clients accelerated for the third consecutive week to their highest level in six months, which is also above levels at this time last year." ... continue, only this time with a cheap debt-funded, price indiscriminate buyer on the other side to absorb all the selling. We will have the answer in just about one week's time.